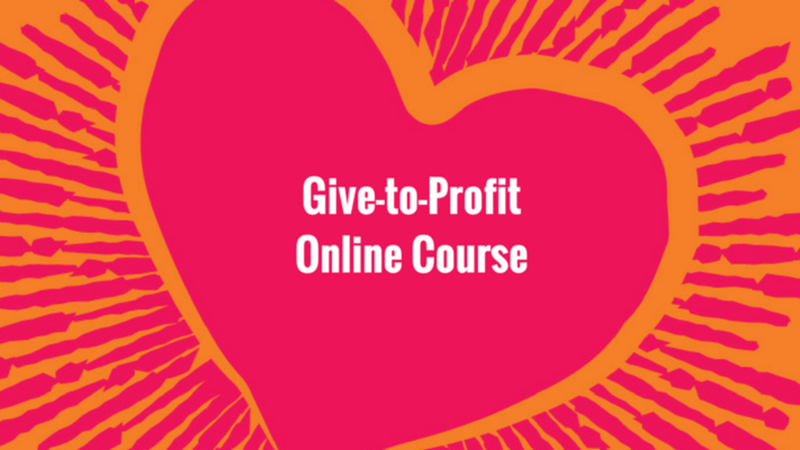 Thanks for taking a moment to check out my Give-to-Profit Course – an introductory course for business owners and entrepreneurs who want to make a difference in the world. Supporting charities and social causes can be a great way to GROW your business – particularly if you already like supporting charitable causes personally. I used to think the only way to support causes through my business was to donate a percentage of funds to charity - until I realised there are SO MANY WAYS to support causes through your business AND that when you link your charitable giving and business goals in the way I teach, supporting causes can actually help GROW your business. This is introductory course explains how to do this. You don't need to wait until you have the time or money to support causes. Nor do you need to have a specific cause to support in mind. No matter what stage of business you're at there are ways to have more social impact that will not only make a difference in the world, they will help attract more clients, staff, and business partners who share similar values. If you resonate with anything I’ve just said, this course is for you – particularly if you like supporting charities or causes personally and want to know how to incorporate charitable giving into your business. As soon as you buy this course, you’ll get instant access to the training, which consists of a training video, audio, slides, and an on-line community, so there’s a place you can ask questions as you implement what you learn. The course itself will only take you an hour or so to complete. So if you want to turn your business into a profitable force for good I invite you to buy this course today. P.S. This course is an overview of some of the topics covered in my Give-to-Profit Book that is available on Amazon around the world.